ROTODIVERT-M is an electric motor actuator designed for operating rotary diverting valves (FDV 231). 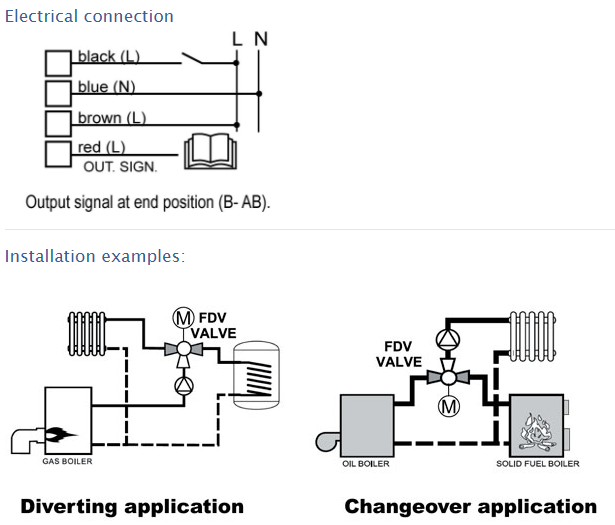 Actuators are controlled by 2-point signal (SPST) with built-in relay module. Unit can be manually operated. 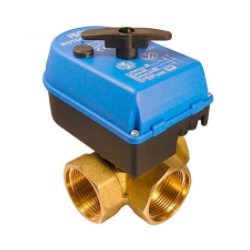 Valves are available in DN 25, with internal thread and are rated PN10. FIRST ROTODIVERT-M actuators with FDV 231 valves are designed for use in radiator, floor or remote heating systems and other small and medium sized heating or cooling systems. 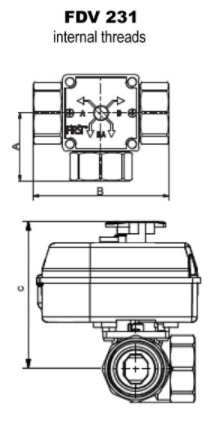 Actuator can be rotated on the valve body to fit different installation layouts and flow directions A-AB, B-AB, AB-A and AB-B.